Topic: Hokanson, Drake. The Lincoln Highway: Main Street Across America, University of Iowa Press, 1988.; Weingroff, Richard F. The LIncoln Highway. 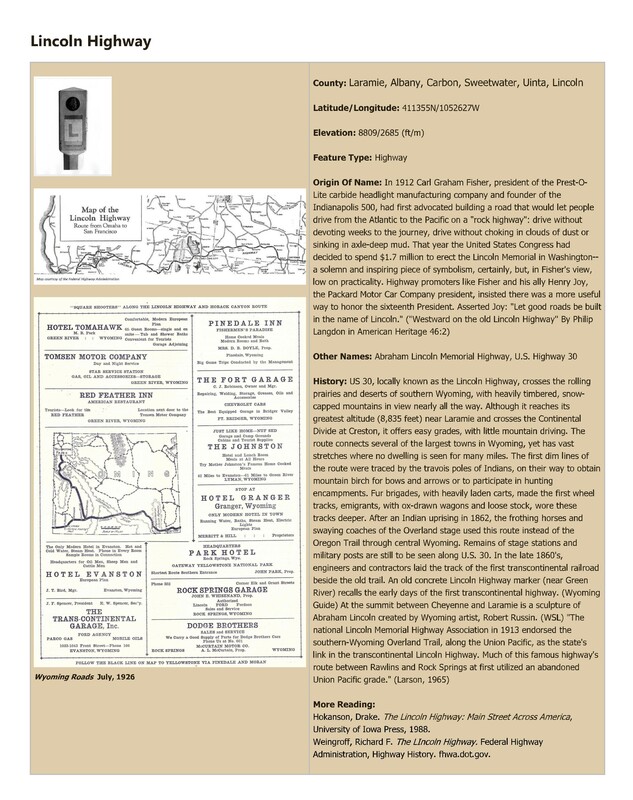 Federal Highway Administration, Highway History. fhwa.dot.gov. © 2018 Wyoming State Library; all rights reserved.